AddFreeStats is a free web analytics tool that helps webmasters to measure Phpbb forum traffic and track visitors activity. AddFreeStats tool offers lots of advanced website statistics reports and will help your to improve your Phbb forum to attract more visitors. AddFreeStats is the most reliable and affordable free Websire traffic analysis tracking program for your Phpbb forum. 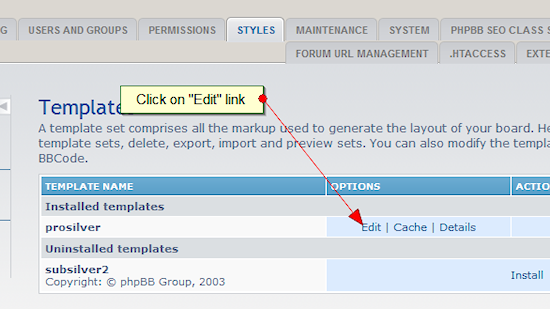 Below is a two minute install guide on how to install AddFreeStats tracking code into your PhpBB forum. 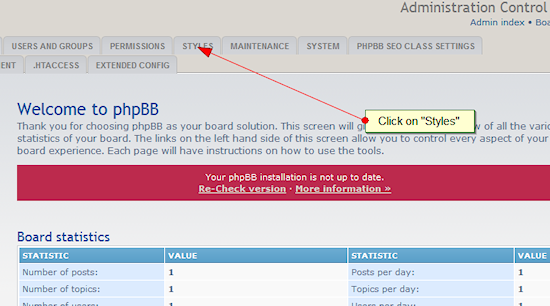 2)	Log into your Phpbb forum platform as usual and then click on “Admin control panel” link that is on the footer. This should open up the admin control panel. 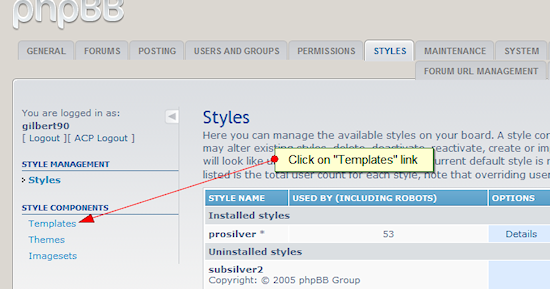 3)	Next you should click on the “Styles” tab on Admin navigation bar at the top. This should open up a new pane. On this new pane, click on the “Templates” link on the left sidebar. 4)	After clicking on the “Templates” link, a new window should open up where you should click on the “Edit” link besides the active template. 5)	Now a new page opens up where you should click on a drop down menu to select the part of template to edit. In our case we are editing the footer since that is where we want to place the AddFreeStats code. 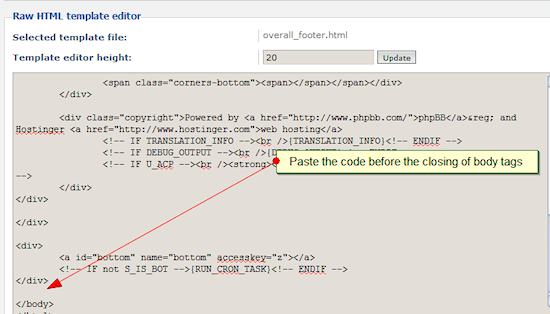 Click on “overall_footer.htm” and click on “select template”. The AddFreeStats tool is now integrated and should start to function. To access the traffic details you can click on the AddFreeStats button displayed on your forum or by logging into your AddFreeStats account.